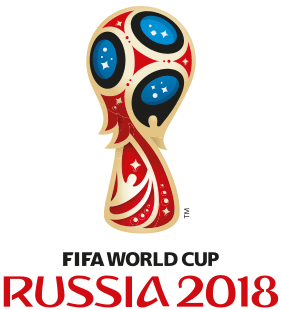 Well we’ve made it to June the first and there’s great anticipation in the Farmer household for the beginning of the 2018 FIFA World Cup and its first match on June 14th. The World Cup is one of the largest global sporting events and it takes place every 4 years. This 21st Edition is in Russia, of all places, and is a month-long event. It takes a full month for the 8 Groups of 4 countries each to play first in Group Matches to determine their seeding, then come the “Knockout Rounds”: the Round of 16, then Quarter-Finals, Semi-Finals, before the Final match on July 15th to determine the winner. Robert is very proud that his Leicester City Football Club (LCFC) has as many as 10 of their stars playing for their various countries. The list of qualifying countries is here. Of course that makes it even more interesting for us because we will be rooting for several different countries, not just England. For those interested, the schedule of matches is listed here, and for the enthusiasts here’s a PDF of the Match Schedule from the FIFA website. Teams from countries where there are large populations of tanglers — Australia, Belgium, Denmark, England, France, Germany, Japan, Korea, Spain, Sweden, Switzerland — to name a few, will be watching with patriotic pride and cheering for their teams. Best wishes to all and have fun enjoying this sporting spectacle while we all learn a lot more about Russia too. Speaking of learning about other countries, many of you will recall Robert and I are also Tour de France pro cycling fans, so there will be an overlap of these two fabulous events as the Tour begins on Saturday, July 7th. Think of this as your tangle Challenge, if you’re so inclined. 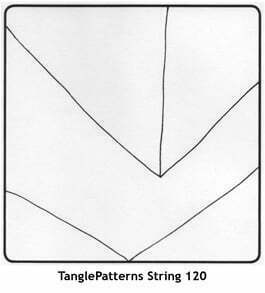 TanglePatterns String 120 is from Beth Snoderly and was originally posted here. And yes, it’s a total coincidence that we had Beth’s Zara tangle on Wednesday. The Random Selector at work! Thanks for the pdf fifa schedule. For the sports nerds among us, this link on skysports.com has various ways to add the match schedule to your Google Calendar, Outlook calendar, iPhone, iPad, Android, etc. Detailed instructions that actually worked for me.